College IT administrators take hits daily, all the while trying to provide the best possible service on an expensive and outdated phone system. Budgets are under scrutiny while increased data and telecommunications workloads are constantly pushing the boundaries of what legacy systems were even designed to provide. Phone systems play a critical role on college campuses, for both business operations and security. A move to a cloud-based PBX could be a game changer. However, many administrators hesitate to change, wondering if a new system will provide enough benefits to overcome objections. 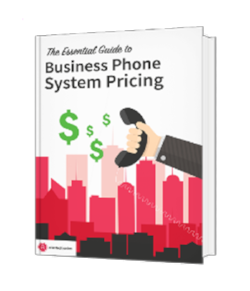 Many people think implementing a cloud-based phone system is a long and painful process with high upfront costs. The truth is, it can be both relatively painless and cost effective, especially when you partner with us. While we are a little biased, we like to think of ourselves as providing the best service and support. The benefits of cloud-based phone systems for colleges far outweigh any pains of upgrading. In this article, we'll look at the eight main benefits college campuses receive from moving to a cloud-based phone system. Scalability tops the list of priorities for communities that experience seasonal fluctuations in activity and frequent change. Nothing exemplifies this more than a university campus. A cloud-based phone system allows administrators to add lines with ease, and at a lower cost than legacy systems. Classrooms and offices can be reconfigured quickly as needs change. Research facilities and development projects that require greater bandwidth can also be sourced with ease, without a ton of additional add-on fees. As student enrollment ebbs and flows, so will the overall costs of a platform that offers unmatched scalability. There's no need to overpay for the scale you don't need. And, on the flip-side, there's no reason to overpay when you need to scale-up, either. On a college campus, everyone is on the move. Faculty, operations employees and students move from the quad to the dining halls, and everywhere in-between. They need to be connected every step of the way, no matter what building they happen to be in. More and more frequently, pop-up classes, retreats, and on-site projects crash against the abilities of legacy systems. Most legacy systems have no mobility features, so they don’t work off-campus. Wireless mobility is a primary need for cutting-edge schools. As more effort is required to maintain credentials, reputation, and standings; the need for mobile functionality will continue to grow. Large universities are more than just schools; they are hospitals, student aid centers, and research facilities. The amount of personal data flowing through these universities is not only overwhelming, but it's also heavily regulated. Privacy and HIPPA laws require a certain level of security measures. Aligning with a partner that can provide a cloud-based phone system in the safety of their own network, and lend the support you need to manage your campus communications, reduces the strain of management and security. In the case of disaster, most legacy systems fail. Once the move is made from legacy to the cloud, redundant and wireless backup provide near instantaneous recovery of service. In the event of an emergency or outage, communications will continue to function, which brings a new level of stability and peace of mind for everyone on campus. Odds are your students and professors are already lightyears ahead of the school in terms of apps and connectivity. Why not get up to speed? To attract the brightest and best, universities need to be able to handle next-generation productivity apps. For administrators strewn about the campus and even the world, reliable and robust collaborative tools save time and money. The ability to share documents, and brainstorm online through video conferencing, are all functionalities from which any school can benefit. Don't let implementation fears derail the change to cloud-based service. It's easy to migrate from a legacy PBX, especially with a proven, supportive vendor. At Atlantech we've been doing this for over 20 years and have learned a thing or two. The college can operate in a hybrid environment while switching things over. Often, a college has an existing PBX (Phone system) that uses Primary Rate Interface (PRI, aka, digital phone lines) as the trunk lines to the PSTN (Public Switched Telephone Network). When the migration to a cloud-based PBX begins, the college can keep some users on the existing PBX. At Atlantech, we deliver the capability to have incoming calls routed to the right place, regardless of whether or not that location is on the legacy PBX or the new cloud-based system. Typically, PBX platforms are static. So, when a call is made to 911, the PBX announces the address where it is located. When 911 is dialed, the correct PSAP connection is required for emergency officials to reach the correct address. With a cloud-based, Unified Communications system, users can be mobile or remote and still be a part of the phone system. By taking 911 compatibility mobile, a professor can call 911 from their laptop, and the location of that professor will be announced to PSAP, no matter where they are on campus. As the laptop moves from classroom to classroom across campus, 911 services can follow that movement in real time. Session Border Controllers (SBC) are very expensive pieces of equipment that require training and experience to configure and maintain properly. With cloud-based phone service, the customer doesn’t need SBCs. This is a definite financial benefit in terms of both hardware and personnel. With Atlantech, SBCs are located in the same physical area which allows us to keep call media local. Some carriers may have their SBCs in New York or Los Angeles. Which means, if someone on-campus calls the local pizza place, that call goes all the way to NY or LA, then back next-door to the pizza parlor. By having local SBCs, all call media is kept in the same geographic area, improving performance. The move to a cloud-based phone system allows colleges and universities to scale as needed on an individual level, with the ebbs and flows of usage and changes in technology. A cloud-based system is a winning combination of value and service, something every budget-conscious college administrator prefers. Want to learn more about how Atlantech helps create a bundled selection of cloud services to meet the individual needs of your school? 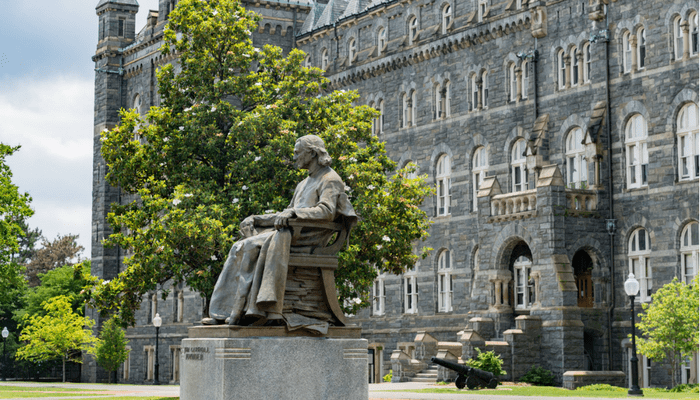 If your campus is in the Washington, D.C. area, one of our customer success representatives will be able to answer your questions and make expert recommendations based on your campus requirements.